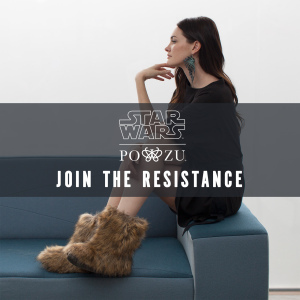 This Autumn, your X-Wing is primed, your Astromech is ready…and the Resistance needs you! At last, the news we’ve been waiting for has finally arrived. StarWars.com has announced that production has begun on Star Wars: Resistance, an exciting new animated adventure series about Kazuda Xiono, a young pilot recruited by the Resistance and tasked with a top-secret mission to spy on the growing threat of the First Order. Featuring the high-flying adventure that audiences of all ages have come to expect from Star Wars, Star Wars: Resistance — set in the time prior to Star Wars: The Force Awakens — will feature the beloved droid BB-8 alongside ace pilots, colorful new characters and appearances by fan favorites including Poe Dameron and Captain Phasma, voiced by actors Oscar Isaac and Gwendoline Christie, respectively. The series will premiere this Autumn on Disney Channel in the U.S. and thereafter, on Disney XD and around the world. Whether this exciting new series will debut in the UK in line with the United States remains to be seen. Traditionally, the UK has been forced to endure an agonising wait for the latest episodes of the current series, often forcing the fans to abandon social media in order to avoid unwelcome spoilers. Until a programming schedule is announced, all we can do is cross our fingers in the hope that the team at Disney XD UK have finally learned lessons from their past failings. Follow @futureotforce for the latest on Star Wars: Resistance and check back to thefutureoftheforce.com for more exciting news on the series.